Bikeland has always been a fan of tech gear to enhance our motorcycling pleasure. 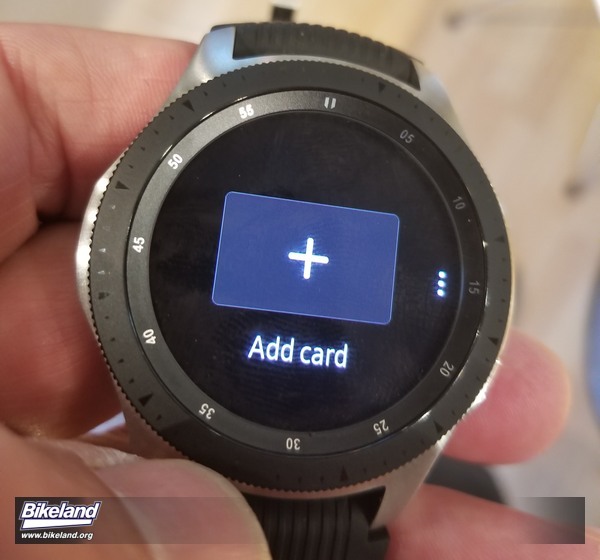 We were on board with Chatterbox long ago, GPS navigation units adorned our cockpits early on, and with the press surrounding the new 46mm Samsung Galaxy Watch we felt we had to see if it offered any benefit to the average biker. A month old preorder miraculously snatched us the item 2 days before public release - here's what we found. Fit and finish were adequate, however almost immediately after unboxing the disappointments began adding up. The silicon strap is slightly uncomfortable - but tolerable if worn loosely. Commence the first issue: if not done up Blood Pressure Cuff tight, the built in heart rate sensor issues erroneous readings, or issues a "clean the sensor" error. This more or less negates any of the functionality of this feature - we couldn't endure a day wearing the watch tight enough to take an actual heart rate reading. 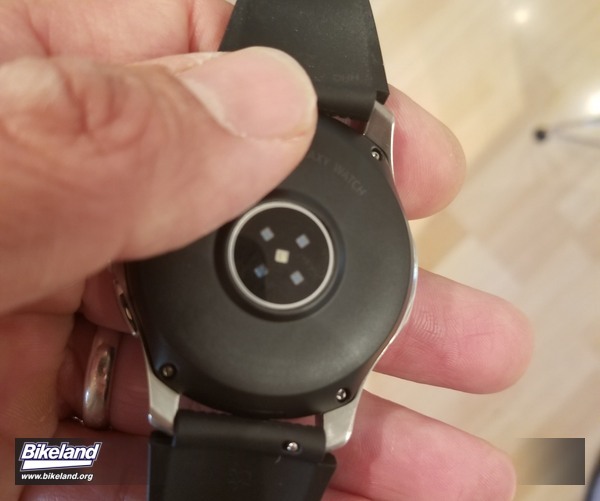 The poor performance of this sensor stands as a black spot in the face of Apple just announcing FDA certification for the heart rate monitor in their watch offering. Overall the new Galaxy Watch interface is decent, though terrible Bixby prompts continually lurk in the background. 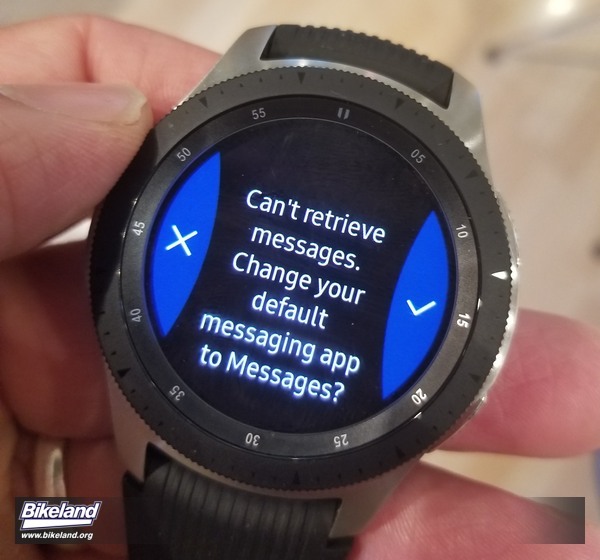 No one we know who has an Android device uses the built in Samsung Messaging app - Android Messages dominates the space, but not with the Galaxy Watch. Samsung wants you to revert to their proprietary app - if you don't, expect to miss notifications for about 50% of your texts in our usage experience. Samsung Pay - possibly one of the most heavily advertised features, turned out to be the single biggest disappointment and failure. 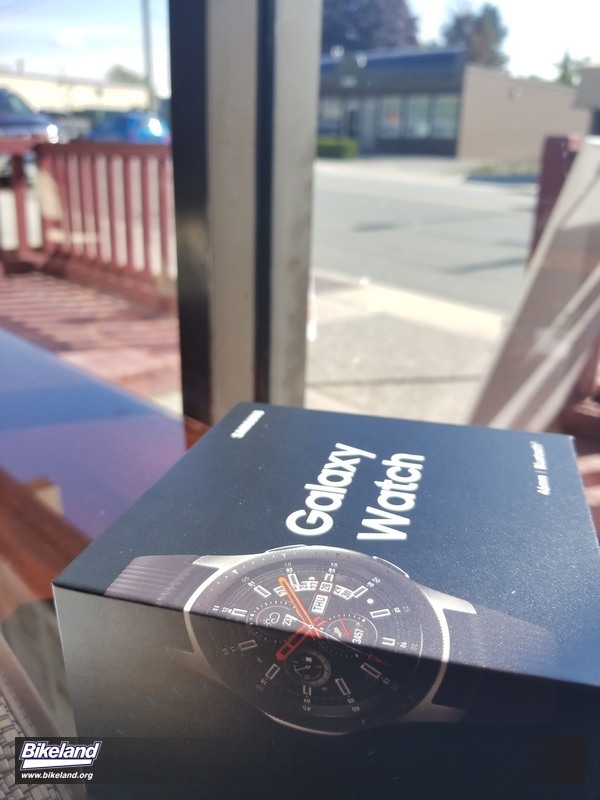 Marketed in Canada and America as their watch "tap to pay" system - our Canadian unit had this feature completely non functional thanks to it being locked to Samsung Pay US, which isn't compatible with Canadian cards. To make matters worse the "Canadian" Samsung Pay department initially denied that the feature was available in Canada - referring to obscure fine print in their Terms of Service. After pressing them, they recanted admitting it was a core feature - but did nothing beyond suggesting we restart our device etc. Samsung Pay US wasn't much more help - pointing the finger elsewhere - at somebody else, they're just not sure who. It is disappointing that even in 2018 a major corporation can roll out a flagship product untested, and rely on their customers to do their R&D for them. If you're north of the border and want to use Samsung Pay, the new Galaxy Watch isn't for you. Some departments did do their homework though as we were quite happy with many aspects of the Galaxy Watch. The form factor was pleasant, having similar weight and feel to a Seiko SKX007 diving watch, just with a somewhat bigger face. It certainly didn't feel like a big clunky computer on your wrist. That big face was easily readable and had many watch faces to choose from. Around the face the rotating bezel was effective at scrolling through apps. Those apps, few that are available at this point, were decent. Even FlipBoard, which we've never had any use for before, was a good experience when reading news. 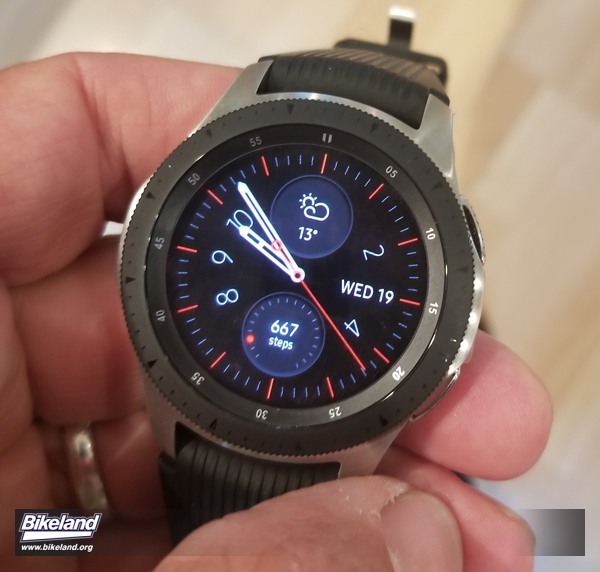 Sadly existing Android-based watch apps aren't compatible with Samsung's proprietary watch operating system, so it will may take a while before your favorite apps are available, if ever. Thankfully the most critical of the watch's core functions worked impressively well. Calls transferred easily between the phone and the watch, and voice quality for both parties was very good. 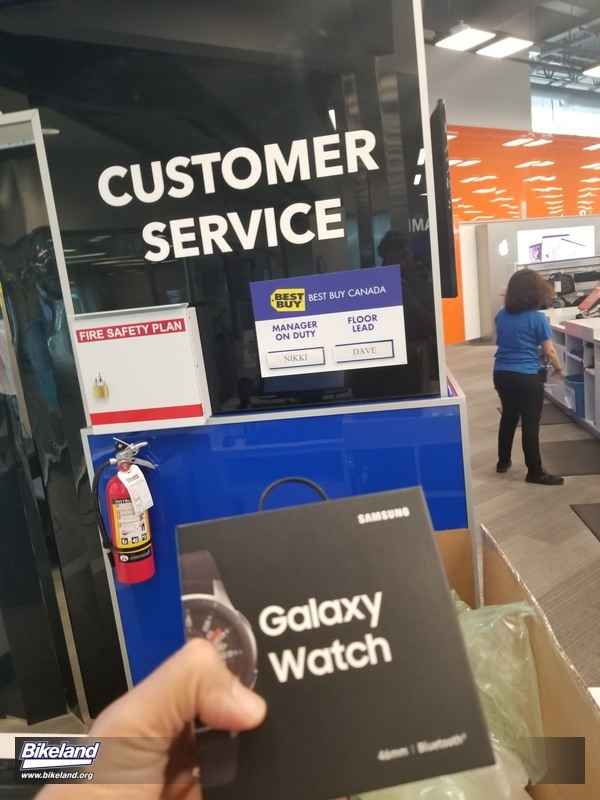 Still, in the end we didn't find any significant benefit to a typical rider (not having to take your phone out to answer a call is nice but an in-helmet solution is much better) so we chose to return the Galaxy Watch. When doing so at least we didn't feel as bad as the kid at the next counter who was returning his Apple Watch. He had a steel plate in his forearm and claimed the watch's sensors had somehow induced a very painful looking burn on his wrist.